Lost your car keys? Don't have a spare? Thousands of UK motorists find themselves in this situation each year - unable to leave home for work, school or travel - or stranded in a car park or side street with no way of accessing and starting their car. Paying a locksmith to replace a key system can be costly - and for some older vehicles a replacement system is so expensive the car might effectively be a write-off. Consider the following before you contact a locksmith. Your regular car insurance may cover the cost of replacing or repairing your keys, although such coverage may only be available with upgraded insurance policies, or by purchasing add-on cover for lost car keys. If you're not sure if you're covered, contact your insurer to find out. Your policy may cover the cost of a locksmith being called out to gain entry to your car. Be aware that any claim may affect your no claims discount, so in some cases may not be an economical option. A number of insurers specialise in standalone cover for lost car keys. If you have such a policy, contact your provider to make a claim. Some car breakdown policies include coverage for the replacement of lost car keys, but are often more costly premium products. Some providers may offer key cover as an optional add on. A good breakdown cover provider will, in the event of key loss, damage or theft, or of having locked your keys inside your car, cover the call-out and mileage costs back to their operational base - or to your home address if it is closer. Some policies will arrange transport for you and any passengers, and may cover the retrieval of any spare key from your home. If the above options are not open to you, calling out a locksmith may be your only choice. This is likely to cost around £200, but may be more, depending on the make of your car. A given locksmith may not have blank keys for your particular car in stock. If so, they may need to order a new key which could take a week or more. The lost car key may need to be reprogrammed - i.e. removed from the vehicle’s database - by the locksmith. Some high street locksmiths claim to offer key replacement services for substantially less than garages and dealerships, as do some mobile and online locksmith firms. Mobile locksmiths should be able to come out to your location. These services may be worth checking. How long will it take to get my new keys? It depends on the type of key and, as mentioned above, the brand of your car. The age of your vehicle also matters; older cars may need to have their ignition barrels reconfigured. Since 1995, the vast majority of car keys feature a transponder chip. Such a key unlocks the car doors and disables the car alarm, while the car recognises the transponder chip, so the engine will start once the key is inserted into the ignition. Spare emergency keys open your car doors and turn off the alarm system, but do not let you start the engine because they lack a transponder chip. These are far cheaper than a complete key, but since they cannot start the engine, they are not a long term solution. Damaged keys: Do you need a new remote? 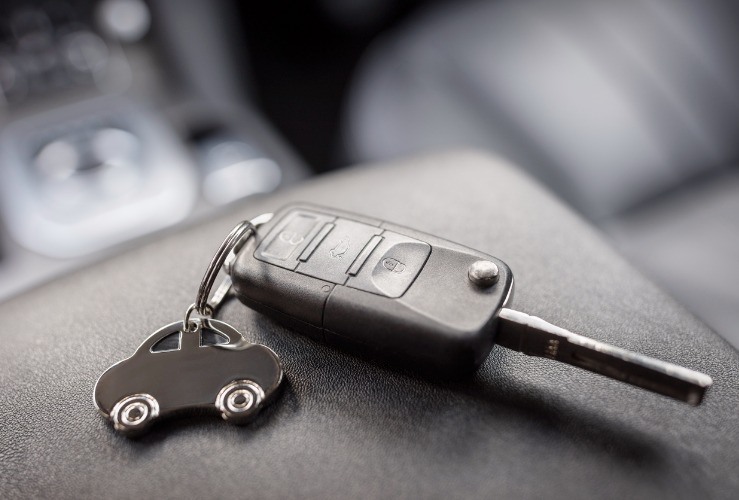 Some keys feature a transponder and key shaft, but have a separate remote control for gaining access to the car and activating/deactivating the alarm system. Other keys are all-in-one key fobs, which combine key shaft, transponder and remote control in one unit. If your keys are damaged, you may only need to replace the key shaft, which is much cheaper than having to replace the transponder. What information do I need to give to the locksmith? VIN (Vehicle Identification Number) - this is on your V5 document; check your vehicle's log book. Documentation proving you own the vehicle - together with personal identification. Your precise location, if an emergency locksmith is required.